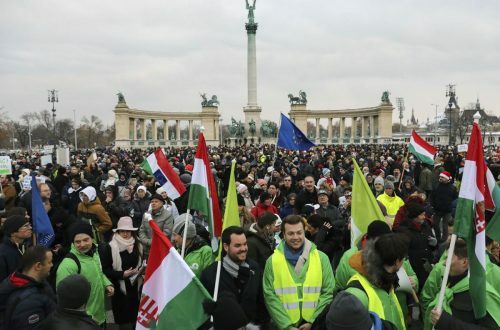 Twenty-three years after the last of the Soviet occupation forces withdrew from Hungary, the rightwing government of Prime Minister Viktor Orban has caved into pressure from Moscow and halted natural gas deliveries to Ukraine. Budapest has announced that it will freeze its gas deliveries to Ukraine, as the Hungarian prime minister, Viktor Orban, said his country could not afford to run the risk of losing its own Russian gas supplies. “Hungary cannot get into a situation in which, due to the Russian-Ukrainian conflict, it cannot access its required supply of energy,” Orban said on state radio following threats from Moscow. Hungary’s gas pipeline network operator FGSZ said late on Thursday that it had suspended supplies to neighbouring Ukraine indefinitely for technical reasons, a move Ukraine’s state-owned gas firm Naftogaz described as “unexpected and unexplained”. Orban’s statement followed a warning from Moscow that it could cut off European countries that have been re-exporting gas to Ukraine to help Kiev cope with Moscow’s energy sanctions. The threat came as energy chiefs gathered in Berlin for EU-mediated talks aimed keeping Russian gas supplies to Ukraine flowing and preventing parts of the country being left without winter heating. The European commission rapped Hungary, an EU member state, for cutting off its so-called reverse flow supplies to Ukraine. “The message from the commission is very clear. We expect all member states to facilitate reverse flows as agreed by the European council in the interest of a shared energy security,” the commission spokeswoman Helene Banner said in Brussels.